We’re now less than two months out from the US midterm elections, and the pre-emptive assurances about security from social media sites, particularly Facebook, are now colored by a sense of urgency. Today, CEO Mark Zuckerberg released a massive blog post detailing the steps the company has already taken to prevent further election interference, and spiced it up by calling on everyone who isn’t Facebook to step up as well. He’s probably justified in his need to comment. Just last week, Facebook‘s COO Sheryl Sandberg was testifying about election interference before Congress, meaning elected officials consider it a serious issue. Last year, Facebook was forced to admit Russian-backed posts had reached 126 million Americans, often fomenting acrimony between political groups or distributing fake news. Preventing election interference is bigger than any single organization. It’s now clear that everyone… [needs] to do a better job sharing the signals and information they have to prevent abuse. To be fair, his point that coordinated attacks are often not limited to one service is a good one. Twitter was also a fake news focal point, and I’d argue it’s just as infested with bots as Facebook, if not more. 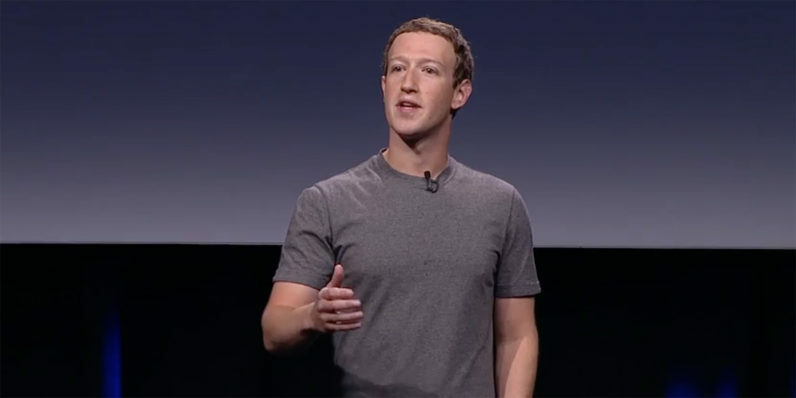 Zuckerberg does repeat several of the same defenses he’s used ever since the 2016 election, specifically that Facebook itself simply didn’t anticipate the onslaught: “In 2016, we were not prepared for the coordinated information operations we now regularly face.” The plea of ignorance is a well-worn one for him — during his Congressional testimony earlier this year, he denied knowledge of things so often viewers could make a drinking game out of the number of times he said the people who did have the information would follow up with the questioning Senator. So his implication that “we’re all in this together” and “everyone” needs to be better at preventing this seems a little disingenuous given Facebook‘s apparently chaotic handling of the whole situation. Facebook itself doesn’t seem to have bothered putting in the effort ahead of the election, so what is this if not a plea for other groups to pick up their slack? While I’d always rather Facebook identified abuse first, that won’t always be possible. Sometimes we’ll only find activity with tips from governments, other tech companies, or journalists. We need to create a culture where stopping these threats is what constitutes success — not where the information that uncovered the attack came from.